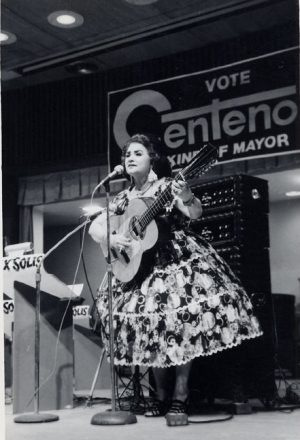 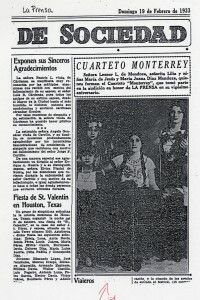 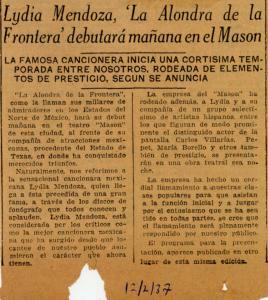 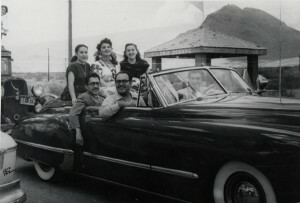 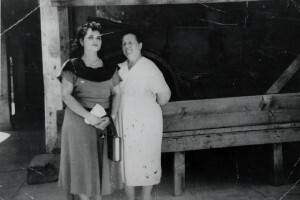 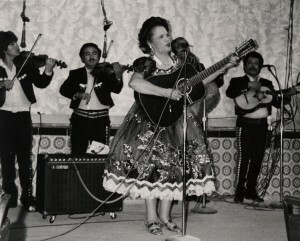 Lydia Mendoza was the first Queen of Tejano Music, with a recording career that began in 1928 and lasted more than 60 years. 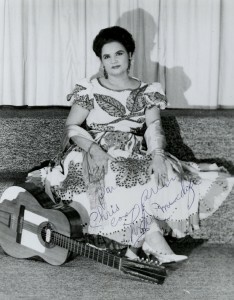 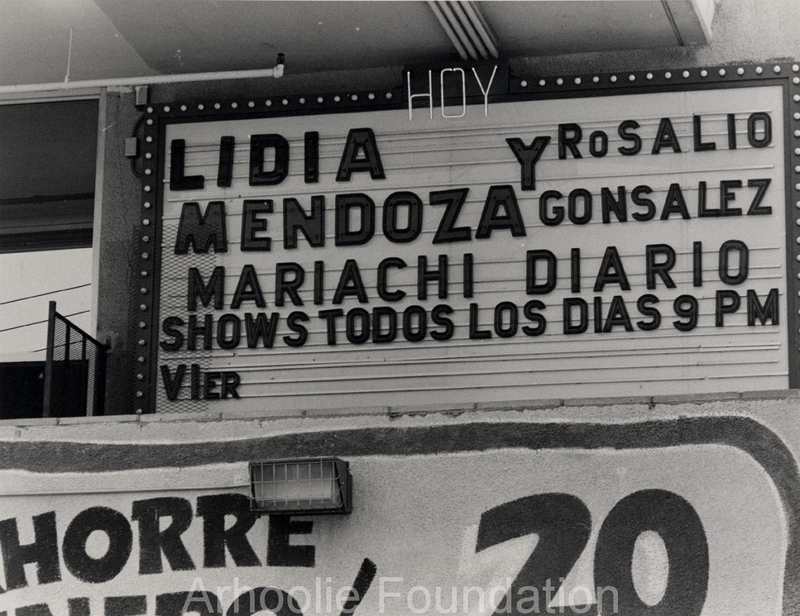 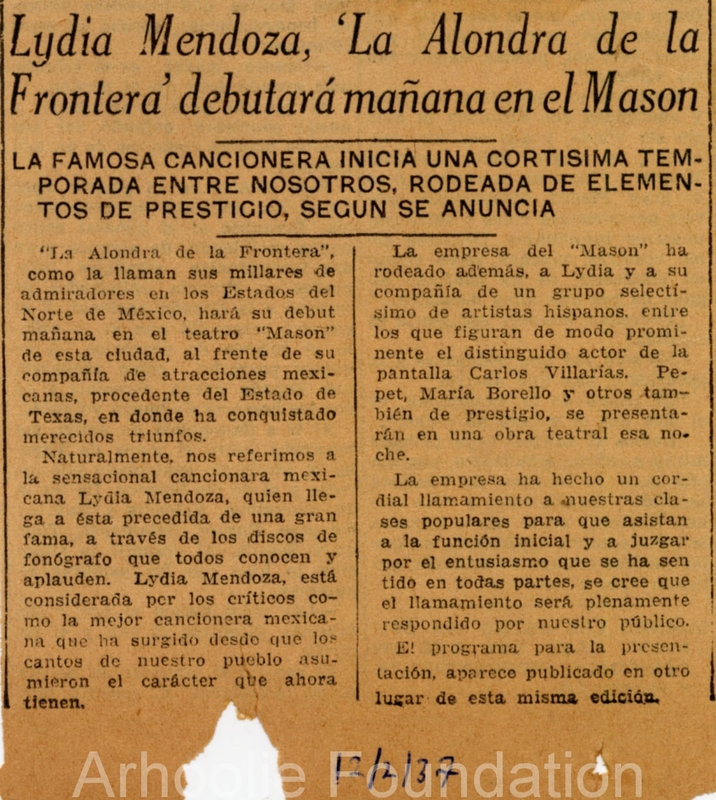 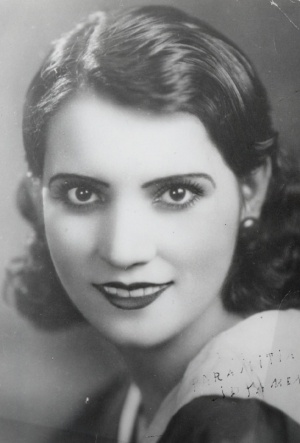 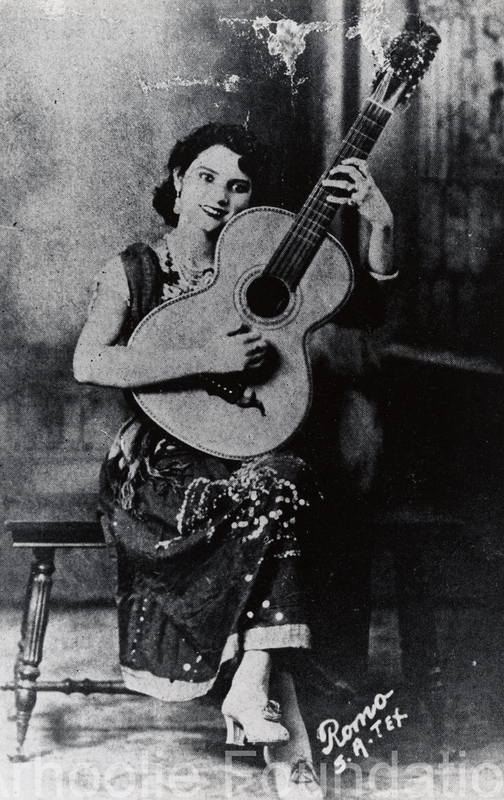 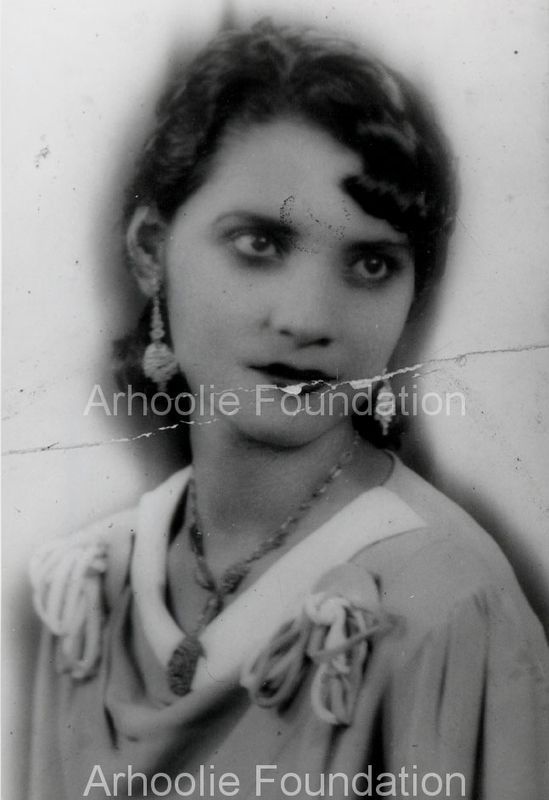 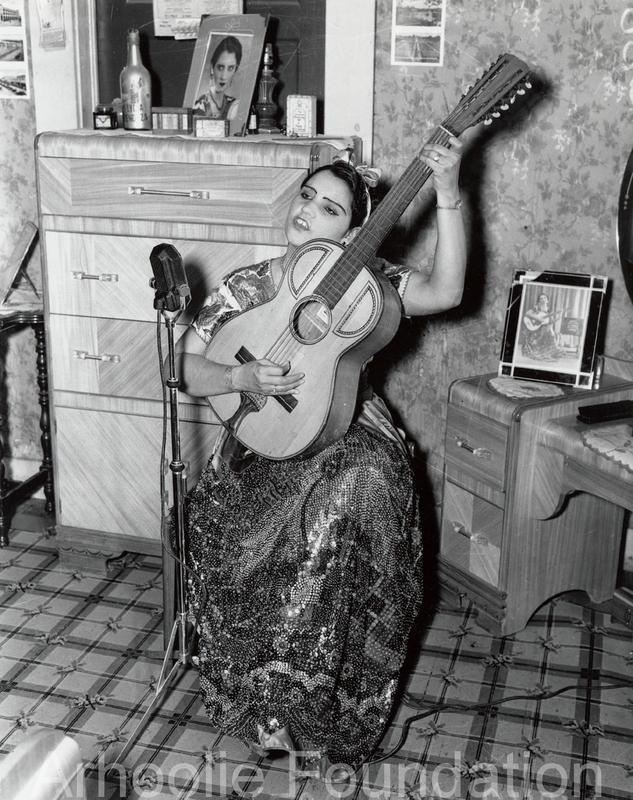 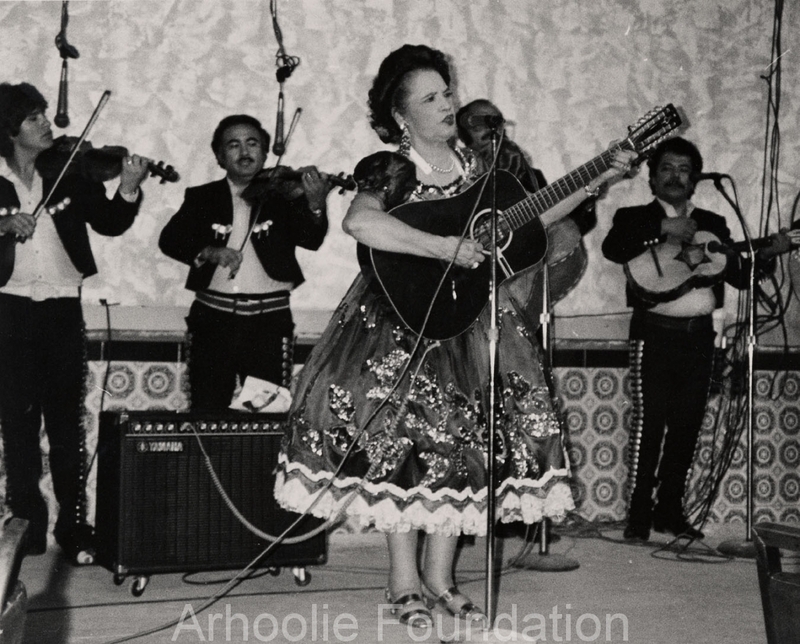 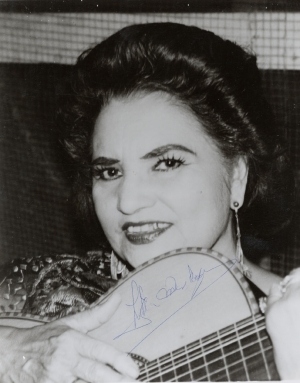 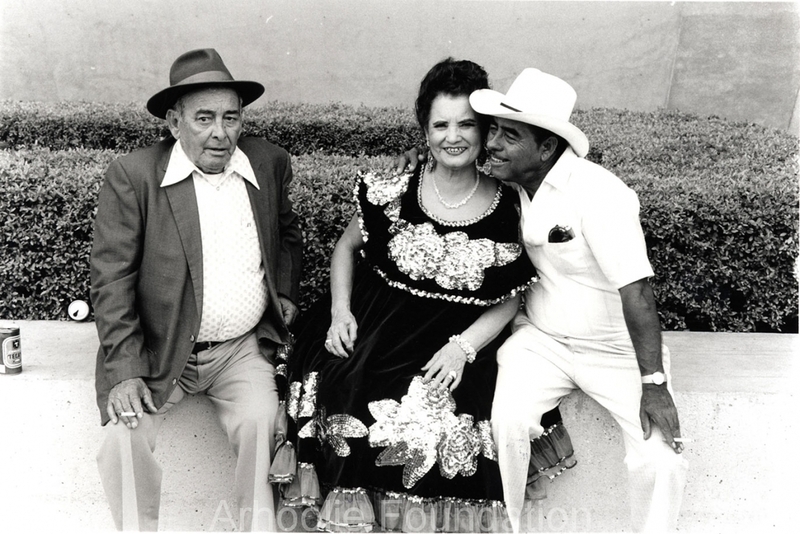 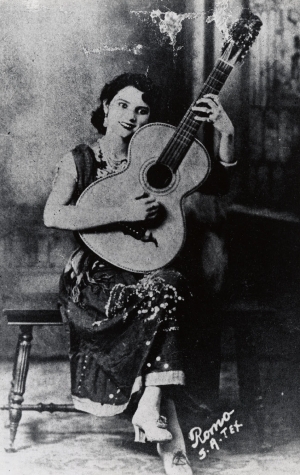 Known as “La Alondra de la Frontera” (the Lark of the Border), Lydia was revered as a voice of the working class and a masterful interpreter of songs. She was the first Texan to receive the National Endowment for the Arts National Heritage Fellowship, and was awarded the National Medal of Arts in 1999 by then-President Bill Clinton. 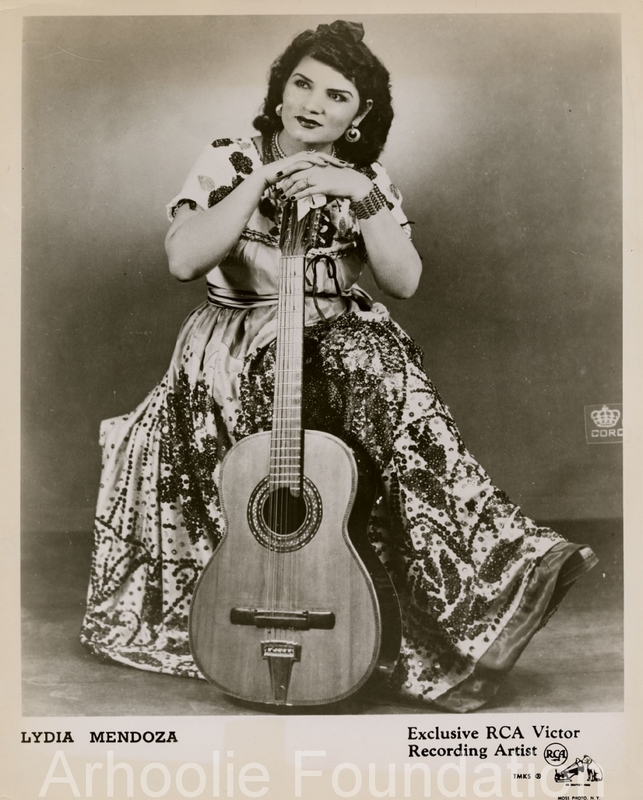 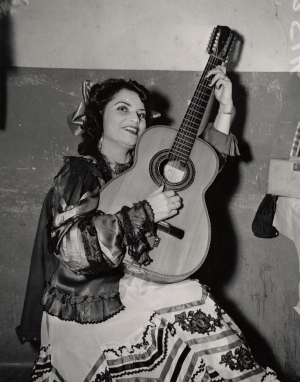 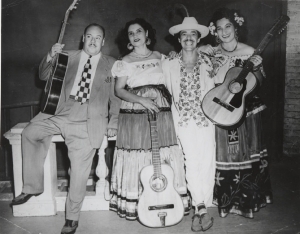 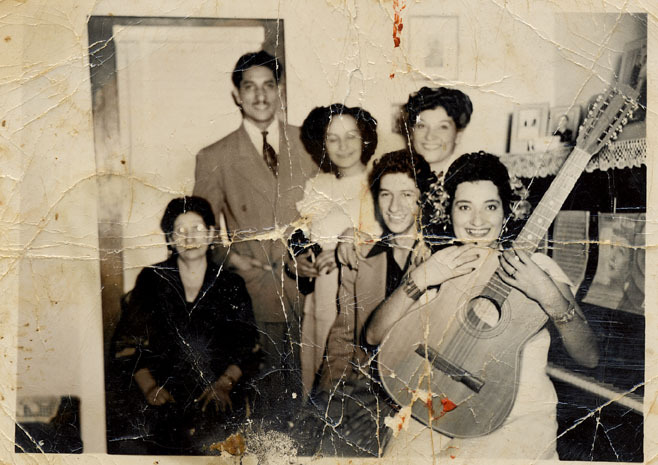 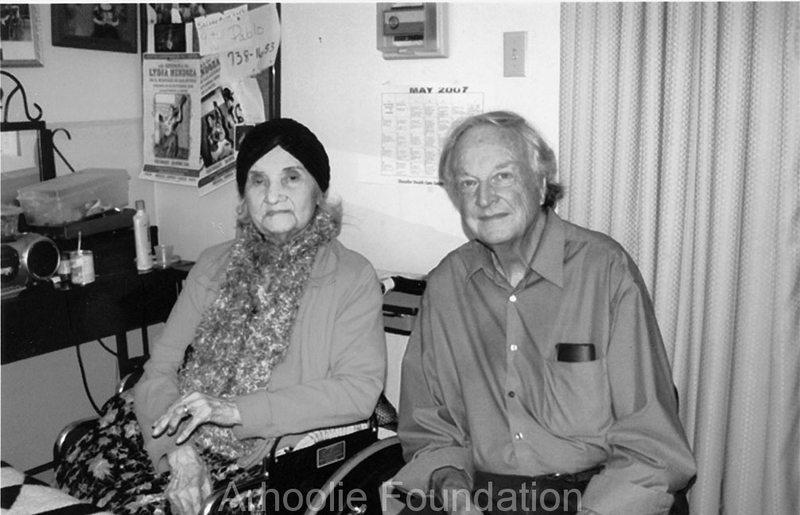 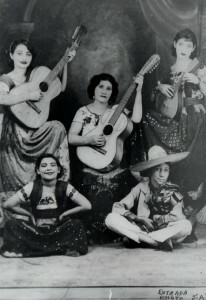 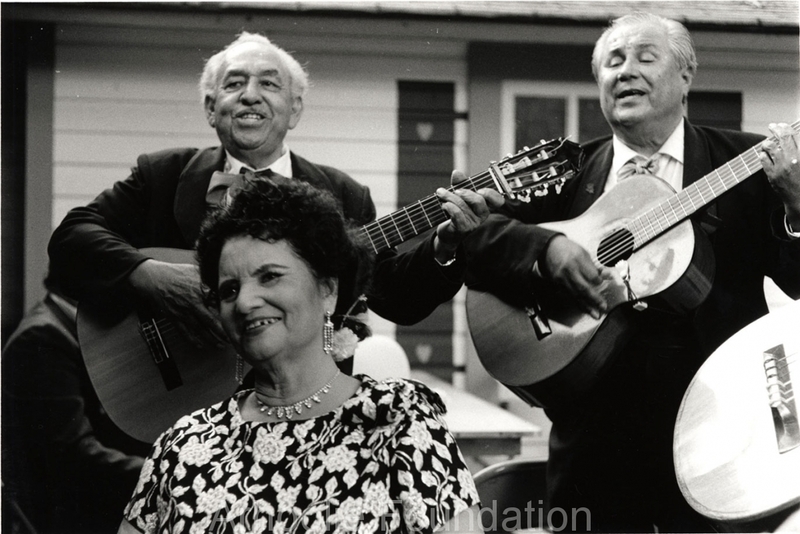 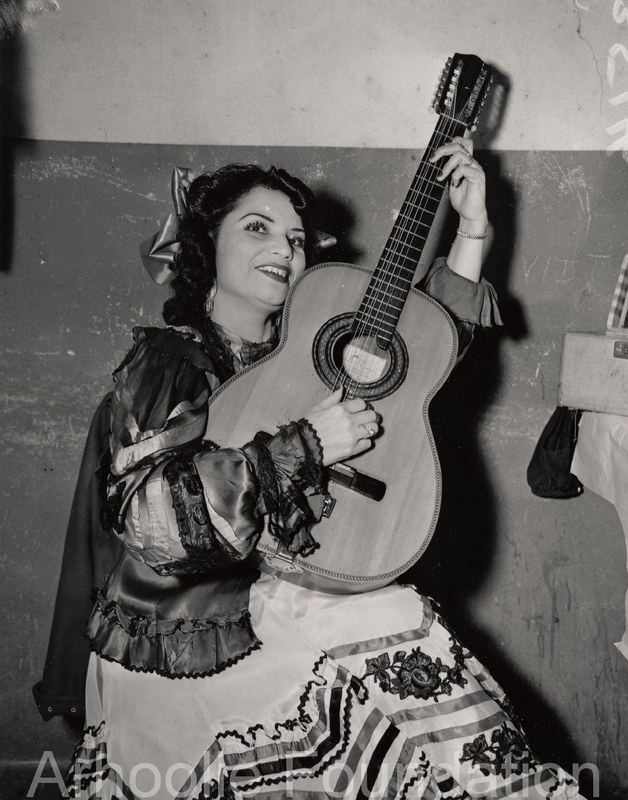 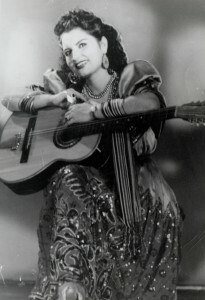 Born in Houston in 1916, Lydia Mendoza learned at a young age to play the 12-string guitar, touring the country with her family band. 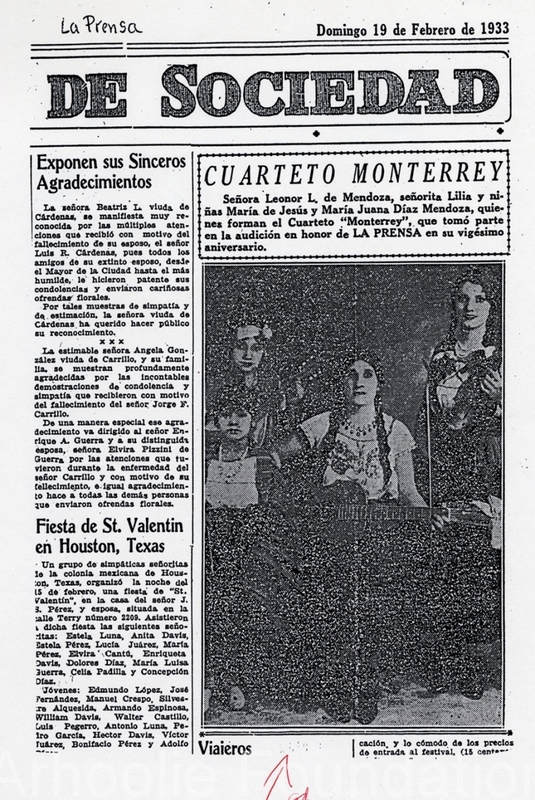 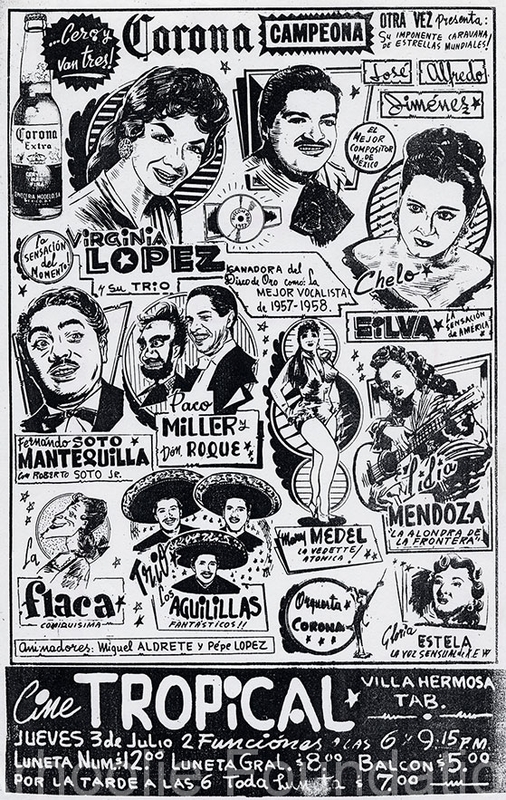 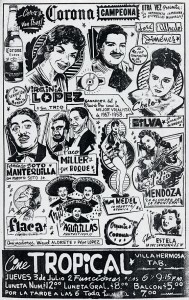 She scored her first hit in 1934 with “Mal Hombre,” a song that made her wildly popular on both sides of the border and became her signature hit. 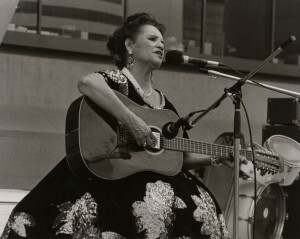 Lydia went on to record over 200 songs on more than 50 albums, in a long and varied career that lasted into the 1980s. 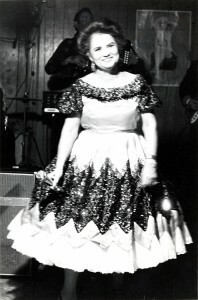 She passed away in December 2007. 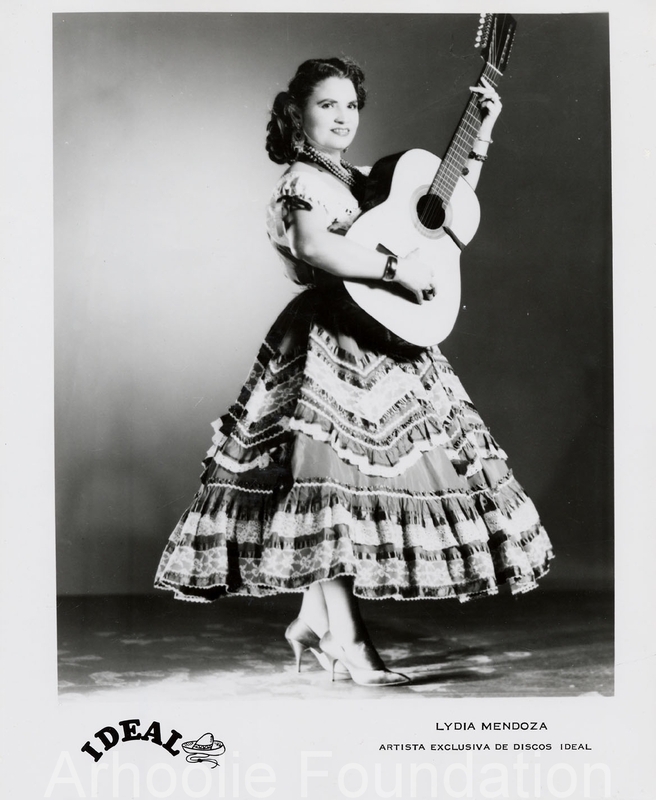 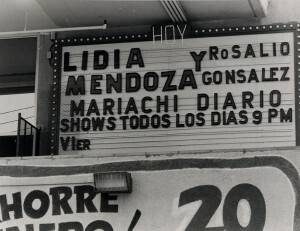 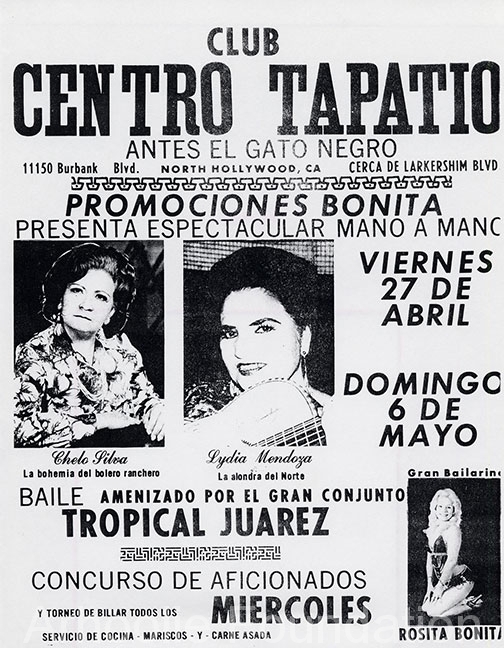 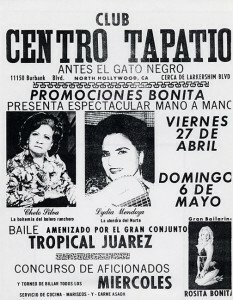 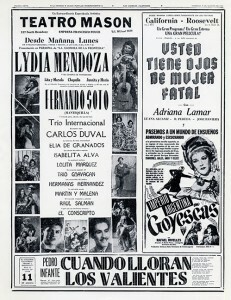 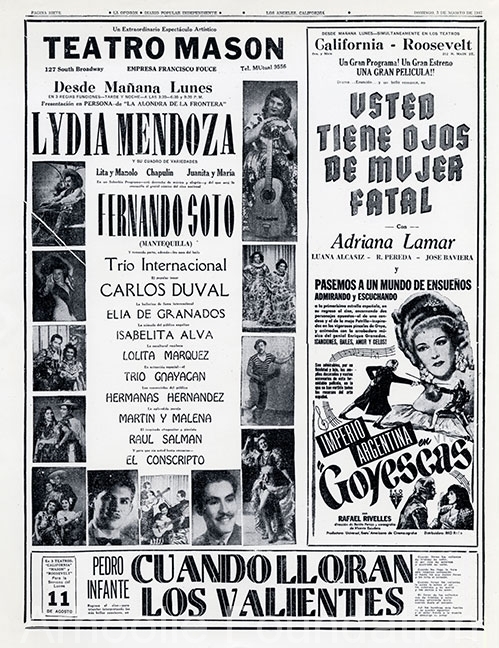 On May 15, 2013 the US Postal Service issued a postage stamp honoring Lydia Mendoza. 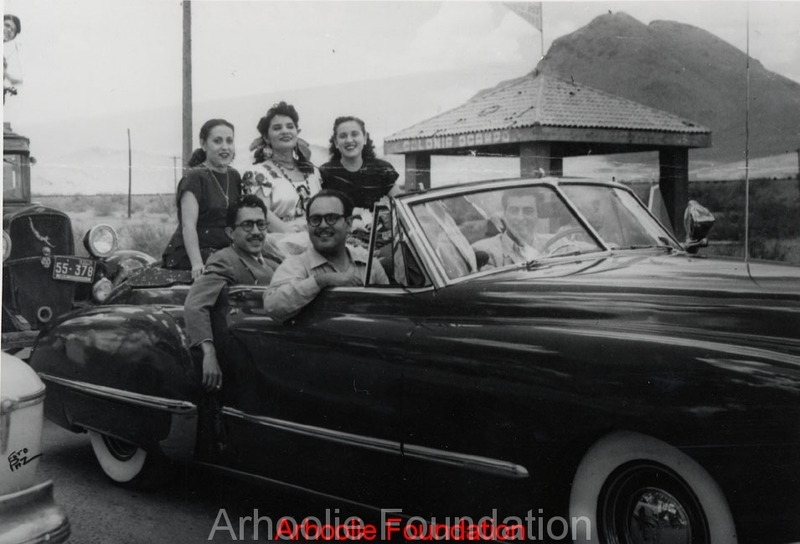 The following images are from the Frontera Image Archive.